Getting started is a snap and takes less than a minute. All you need to do is register with a valid email address, be 18 or older, and a US or UK resident. Once you register, just confirm your email address in order to start taking surveys. 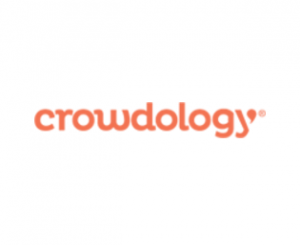 Crowdology takes a very simple approach to their rewards system. There isn’t any ham-fisted point system to deal with. Additionally, you will be made aware of what you’ll earn before attempting a given survey. Generally, survey length will range from 2-15 minutes. You can Expect to earn anywhere from $0.40 to $10 per survey, averaging around $2. The main factor in deciding your payout is length of interview. This will show your balance and if you have reached the minimum threshold. If you have, you will be guided through the process to redeem your rewards. PayPal payments are processed in just 48 hours. Please note that Amazon rewards can take up to 4 weeks to process. Email support is usually on the ball. Expect a response to any queries within 24 hours. Although this an outstanding survey program overall, there is one significant negative to Crowdology. There are simply not enough surveys. Some users report receiving a mere 2-3 surveys per month, which may not meet the earning needs of some members. If you’re looking to rack up rewards quickly, you might want to look elsewhere. Crowdology has some excellent perks going for it; the two most important being low cash-out threshold and reliability of payment. Though there are a handful of users that may bemoan the fact surveys aren’t as plentiful as they would like, lack of payment and speed of delivery are never a problem. Moreover, the surveys you will receive do pay well compared to industry averages and rarely exceed 15 minutes. In short, Crowdology is 100% reliable and has one of the best payment records around. As always, you won’t be earning stacks on stacks with any one survey program, but this one is certainly worth your time. Here’s a summary from the official Crowdology website. Please write a brief, honest review based on your personal experience with Crowdology. All reviews will be moderated.